Taping with a pressure-sensitive adhesive (PSA) or heat-activated taping system (HATS) keeps rubber products in place for temporary or permanent fastening. 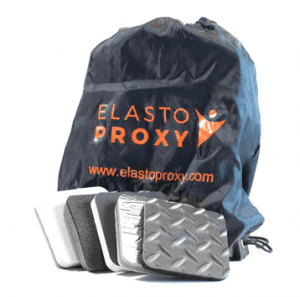 Many of the custom-fabricated components that Elasto Proxy provides can be supplied with an adhesive backing. By taping gaskets, trim, insulation, and other rubber products to surfaces such as walls or ceilings, you can promote assembly-line efficiency. Elasto Proxy uses a compact taping machine to process quantities of all sizes. Our ability to handle small quantities is especially important, as Elasto Proxy can purchase small amounts of material and then perform quick setups. Whether you’re waiting for a prototype or expecting a high-volume run, you’ll find our taping capabilities are flexible and dependable. Taping isn’t right for every sealing application, but its faster than metal or plastic fasteners. With plastic pins, for example, operators need to drill a hole for each pin and then push a pin into each drilled hole. Plastic T-shapes may also require operator assembly. Although the food equipment industry uses plastic pins and T-shapes instead of tape, the mobile equipment industry uses taping when there’s not enough space for a plastic retainer. That’s why tape is used on cab profiles and windows for an effective seal. Taping is also used with cab insulation. 3M HATS high-bond tape provides excellent adhesion and holding strength to a variety of surfaces, including automotive paints and plastics. HATS also features strong stress-handling and weather-stripping capabilities, making it a good choice for outdoor use. HATS high-bond tape are also recommended if your sealing application involves sponge profiles and permanent sealing. HATS high-bond tape fuses together the tape and the profile, as with door seals that might otherwise come apart from repeating pushing on the door. During custom fabrication, forced air is used to heat the surface of the tape as it passes through our taping machine. A polyethylene release liner allows the taped part to be attached quickly and easily for installation. 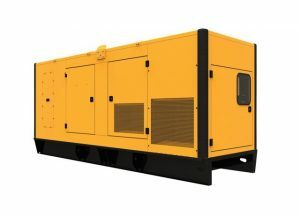 Elasto Proxy uses SolidWorks, a three-dimensional (3D) CAD application with robust design capabilities, to validate technical designs and optimize them for cost and weight. By analyzing the deformation of a profile, for example, we may be able to minimize the amount of compound used and reduce material costs. Our technical services team also uses SolidWorks to simulate gasket compression, identify assembly and operational strains in door seals, and analyze compression set and tensile strength. PSA tape is double-coated with a high-performance acrylic adhesive for high tack and peel resistance. It’s used to bond seals to rough or porous surfaces. This removable double-faced tape is recommended for attaching tape to a wall so that an installer can then affix the profile. A paper release liner and polyvinyl chloride (PVC) carrier between the two coats helps makes PSA tape easy-to-use.